Author Henry D. Schlinger, Jr., provides the first text to demonstrate how behavior analysis-a natural science approach to human behavior-can be used to understand existing research in child development. 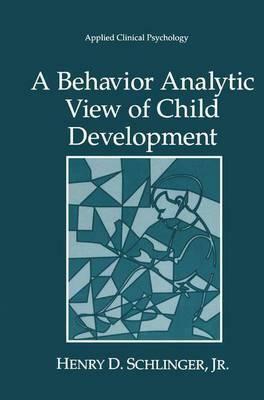 The text presents a behavior-analytic interpretation of fundamental research in mainstream developmental psychology, offering a unified theoretical understanding of child development. Chapters examine mnemonic, motor, perceptual, cognitive, language, and social development. Illustrations note XVI, 264 p.
Science. Developmental Psychology. Behavior Analysis. The Development of Memory. Motor Development. Perceptual Development. Cognitive Development. Language Development. Social and Emotional Development I: Attachment Relations. Social and Emotional Development II: Moral Behavior. Index.